Virginia Cornwell is a Columbus Divorce Lawyer and an Ohio State Bar Association Certified Family Relations Specialist. 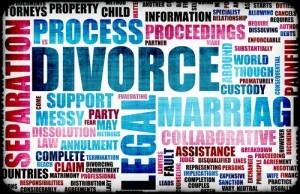 At the Law Offices of Virginia C. Cornwell, we understand that sometimes divorce is the only option. When you have done your due diligence to try to end the marriage by agreement, or you have a reason that you must have a restraining order quickly, divorce is what you need, not dissolution. To read more about the difference between divorce and dissolution, click the link. As a Columbus Divorce Lawyer, Virginia Cornwell stays in touch with the practices and procedures in Franklin County, in order to help her clients know what to expect from the court, and to help her clients make informed choices about strategy, and whether to continue to litigate or settle. If you need help with a divorce in Columbus, or just need to talk about the possibility of divorce, you may call our office at 614-225-9316 for help. You will also find a lot of information about divorce by reading the divorce articles on our website.